Children's Anaferon is a medication used to treat colds and flu. The drug has two actions - antiviral and immuno-fortifying. The drug is available in the form of homeopathic tablets. Tablets have a smooth uniform and flat surface, round shape, risk and solid edges. The color of the pill is white to creamy. Excipients: lactose, calcium stearate, aerosil, microcrystalline cellulose. with complications of infectious processes and complex treatment of secondary immunodeficiency states. 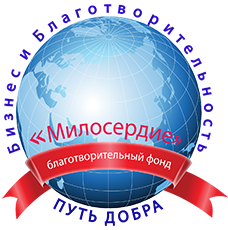 In the treatment and prevention of children Anaferon fights the virus and has an immunomodulatory effect. The drug reduces the concentration of viruses in the tissues where the lesion is located. The mechanism of action is based on an increase in the release of biologically active substances that directly affect the metabolic processes inside the cell. Thus, cellular and humoral immunity is activated. Anaferon is a homeopathic drug, not intended to be swallowed. The tablet must be kept in the mouth until completely dissolved. The medicine is not taken while eating. When prescribing to children from 1 month to 3 years, the drug is recommended to be dissolved in boiled water at room temperature in a volume equal to 1 tablespoon. with influenza, acute respiratory viral infections, herpes viral infections, intestinal infections and neuroinfections, treatment should be started when the earliest signs of the disease appear according to a special scheme: a tablet is taken every 30 minutes for the first 2 hours. Next, you need to take the medicine 3 more times at regular intervals. Starting from the second day, the reception is carried out on 1 tablet 3 times a day until full recovery of health. for prevention, medication is taken throughout the entire epidemic period 1 time per day per tablet. For the treatment of acute genital herpes, there is the following scheme: for the first 3 days, a tablet is taken 8 times a day, then a tablet 4 times a day. It is necessary to observe equal intervals of medication. Therapy lasts 3 weeks. in the complex treatment of bacterial infections, take a pill once a day. It is allowed to combine the use of Anaferon with other drugs to combat viruses and increase immunity. The use of the drug according to the above indications in the appropriate dosage did not reveal side effects. But there may be allergic manifestations to the components of the drug. You can not assign children up to 1 month and people who have an individual intolerance to the components of the drug. The use of Anaferon child during lactation and pregnancy has not been studied. When prescribing a drug, you need to consider the benefit / risk ratio. The preparation contains lactose. This is a contraindication for patients with congenital galactosemia, malabsorption syndrome and congenital lactose deficiency. Drug intake Anaferon for children at a dose that is much higher than therapeutic, is not yet fixed. But some drug fillers can provoke dyspeptic symptoms in overdose. Cases of incompatibility with other drugs is not fixed. Allowed to combine Anaferon for children with symptomatic drugs and drugs, the action of which is aimed at combating bacteria and viruses. The drug belongs to the means of non-prescription. The drug is recommended to be stored at a temperature of 25 ° C, in a dark and dry place. Shelf life - 3 years. Children's Anaferon is a homeopathic drug. In the pharmaceutical market there is a huge range of other products that have antiviral effects. The most famous and effective are Kagocel, Arbidol and Aflubin. The composition of these drugs and Anaferona children - not identical. Appointment of a suitable method of treatment is within the competence of the doctor. 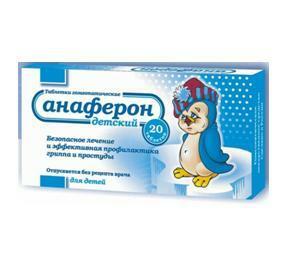 Anaferon for children lozenges, 20 pcs. - from 174 rubles.